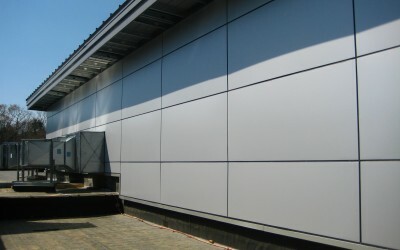 Creative Metal Contractors has designed a composite metal panel system with several unique features that facilitate superior weather tightness performance characteristics, improve the attractiveness of the panel plus increases the strength & rigidity of the panel. The design features also improve the efficiency of fabrication and installation which equates to added performance and value. 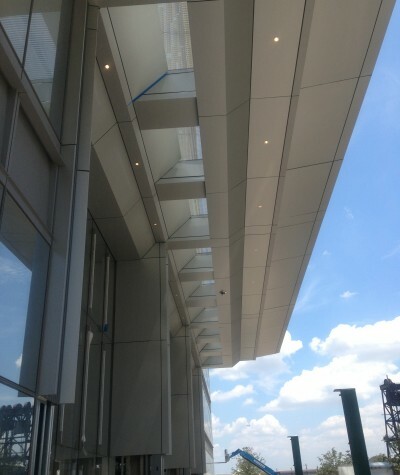 NOTE: For details on our panel system, please use the form here, to provide us with your contact information and we will send you our detail drawings. 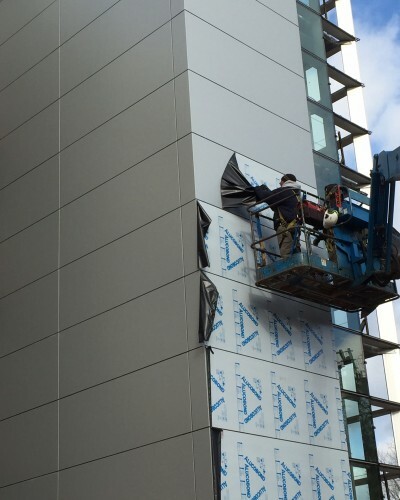 Creative Metal Contractors has designed a process to fabricate an Aluminum Composite Metal Wall Panel (IACMWP) and install the panel with THERMAX™ Sheathng made by DOW Chemicals. Our insulated wall panel system will have all the features of our EZ-03 Panel System plus provide one of the highest insulaltion values available on the market. The R Value of our 3″ IACMWP is 20.